My book, as is probably obvious from its title, is a history of the Sacco-Vanzetti affair, which began in 1920 as a local criminal case in which two Italian-born resident aliens, Nicola Sacco and Bartolomeo Vanzetti, were arrested and tried in Massachusetts for the robbery and murder of a factory paymaster and his security guard in an industrial suburb of Boston, and which turned within a few years into an unprecedented international cause célèbre. Because Sacco and Vanzetti were revolutionary anarchists as well as working-class immigrants, because the case against them seemed relatively weak, and because they impassionedly and eloquently insisted on their innocence, their case came to be seen by many, both in the United States and around the world, as an injustice that had its roots in the “Red Scare,” the anti-immigrant, anti-radical, and isolationalist sentiment and policies that swept the U.S. in the aftermath of World War I. By 1927, even while languishing on death row in a dismal Massachusetts prison, they had become two of the most famous people in their world, on a par with Charles Lindbergh or Charlie Chaplin. In spite of—perhaps because of, the book suggests—the gamut of national and international support for their cause—including people as disparate and unlikely as H. G. Wells, Benito Mussolini, Henry Ford, Albert Einstein, Jane Addams, and Joseph Stalin—the two men were put to death by electrocution in August 1927. There have been many books published about Sacco and Vanzetti over the years, but most of them have focused largely on their 1921 trial and on the perennial (and in my view, unanswerable) question of whether they were innocent or guilty of robbery and murder (the first question I am always asked is “So, did they do it?”). I tried to do something completely different, while trying also to capture a sense of the dramatis personae that helped make the story so flamboyant. Rather than write about Sacco and Vanzetti’s trial, I wanted to show how in essence it was the United States (and Massachusetts specifically) that came to be put on trial. 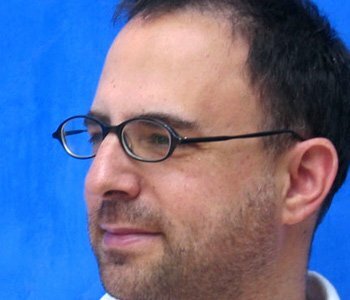 The book shows how and why the shift from obscure case to worldwide affair took place, and what the affair meant, and still means, to Americans as well as non-Americans. 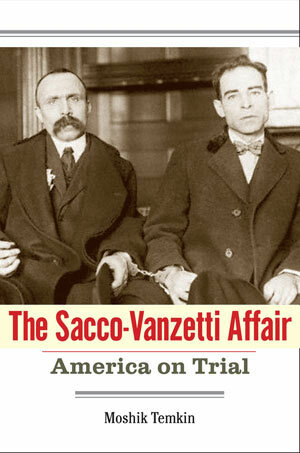 In one sense, The Sacco-Vanzetti Affair is about America’s changing relationship with the world. In another sense, it’s about how politics came to function in the modern era. Ultimately, I hope, the book tells a compelling story with some relevance for our own day.